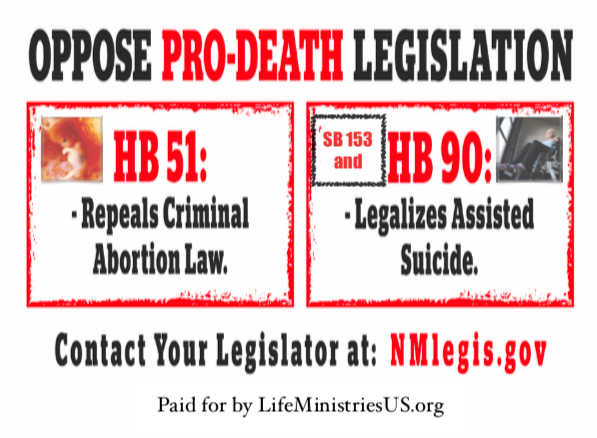 Albuquerque, NM- New Mexico’s Pro-Death democrats have introduced TWO identical pro-euthanasia bills, HB 90 and SB 153, this legislative session into the New Mexico House and Senate. 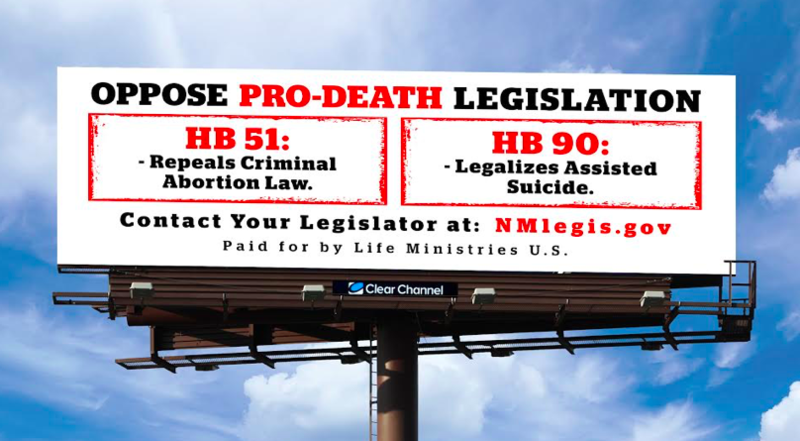 A tax deductible donation of any amount will keep the billboard up on I-25 between Albuquerque and Santa Fe for the full 60 day legislative session! 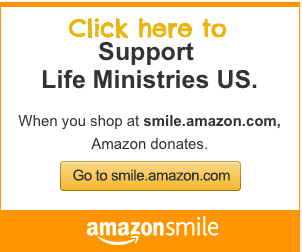 The billboard initially cost $1,043.19 to put up BUT ONLY COSTS $500 FOR AN ADDITIONAL MONTH! That’s not all, there’s more! 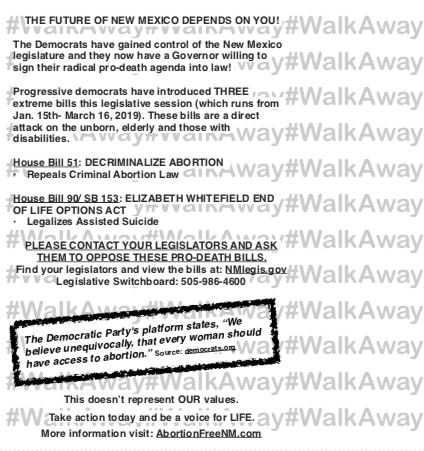 In addition to the billboard, we have already launched a STATEWIDE postcard campaign NEARLY 3,000 postcards are set to be delivered THIS WEEK! However we want TO REACH MORE VOTERS! 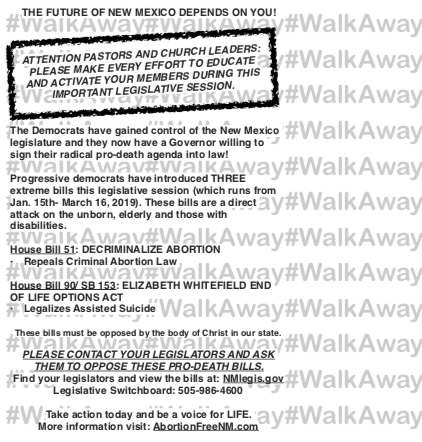 EVERYvoter needs to be aware of these bills and to contact their legislators asking them to OPPOSE PRO-DEATH LEGISLATION! Click here to donate $500 for the billboard (an additional month) for the full 60 day legislative session.